Martinez Eye Associates (pronounced MARTIN-ez, not like the Spanish Mar-tee-nez) gets its name from the city Martinez, Georgia. Our original practice was opened in Martinez, Georgia before moving to Augusta and Columbia South Carolina. 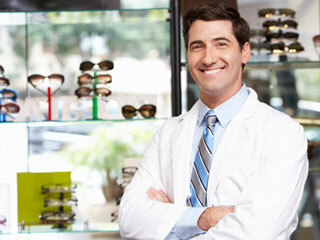 At Martinez Eye Associates we strive to offer you the highest quality vision care and services. Each of our staff members are professionally trained to assist you in making informed decisions about what products and procedures that will best benefit you and your individual eye care needs. We offer many services using the latest in computer assisted technology. Our entire optometry staff is committed to ensuring the comfort and satisfaction of each and every patient. We will do our best to accommodate your busy schedule by finding appointment times that meet your needs. Our knowledgeable staff at Martinez Eye Associates will work with you to help you understand your vision insurance coverage and provide financial alternatives to ensure you get the best vision care possible. We know that you have a choice when it comes to choosing your eye care provider, so we strive to provide comprehensive eye exams, a great selection of glasses, and personalized care. Computerized eye examination and contact lens examination from start to finish. Our contact lenses room is fully equipped with all major brands and the newest contact lenses in the market. Including toric contacts that can correct for astigmatism to multifocal contact lenses that correct vision at distance as well at at near and computer. We have most contact lens trials in stock for same day fittings and carry some lenses in stock for purchase. We at Martinez Eye Associates are proud to provide our patients with one of the latest technologies available today for the examination of the back of your eyes. Digital retinal imaging allows your doctor a more comprehensive way of viewing the inside of your eyes and, and is great way to monitor for progression of potential eye disease over a period of time. This advanced diagnostic test is invaluable in diagnosing the early detection of many eye diseases such as glaucoma, macular degeneration and diabetic retinopathy. The Retinal image is captured in less than one second and is immediately available for review with you, to help you more understand the health of your eye.